This chart, showing the coast of western Florida’s panhandle region from Pensacola to Apalachicola, was created in 1700. Charts are navigation aids that show shorelines and ocean features to help mariners plot their routes. 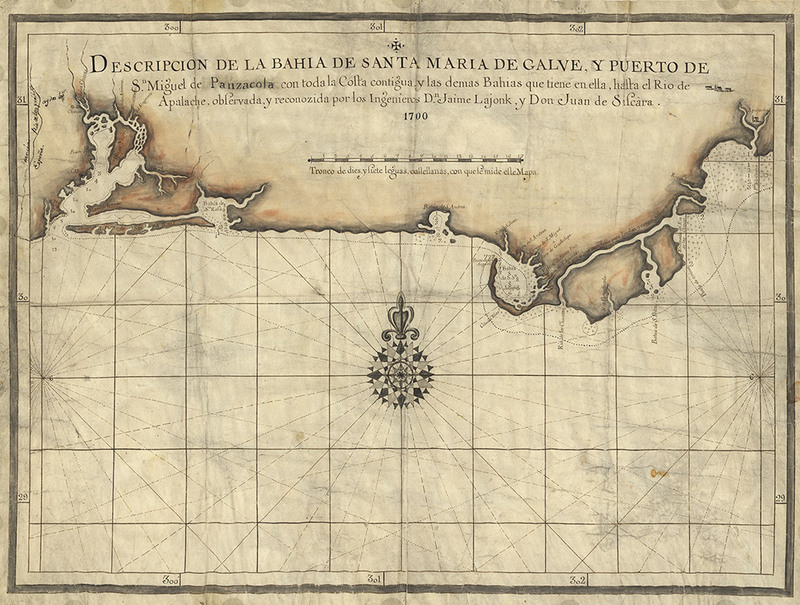 Europe’s first sea charts were simple outlines of coastlines made to supplement written or oral directions. They later evolved into more accurate navigation aids based on astronomy and mathematics.